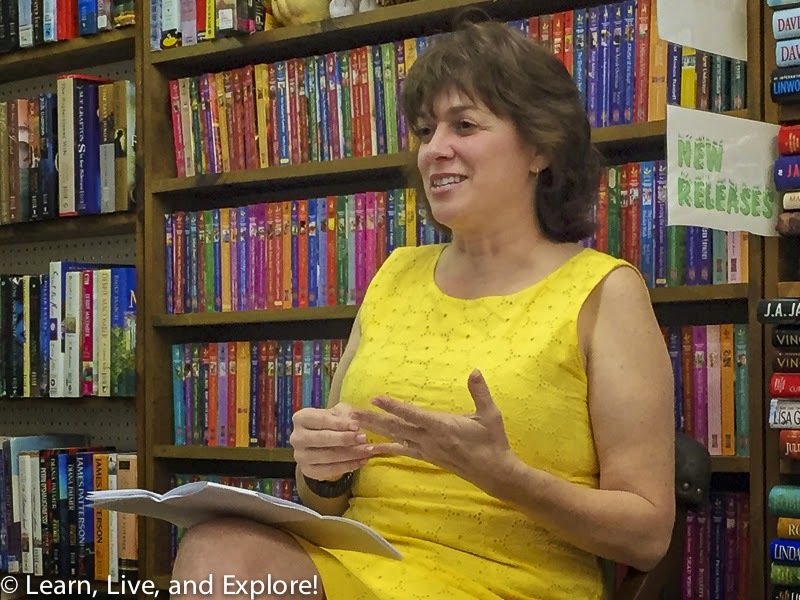 A Book Signing with One of My Favorite Authors: Kristan Higgins ~ Learn, Live, and Explore! 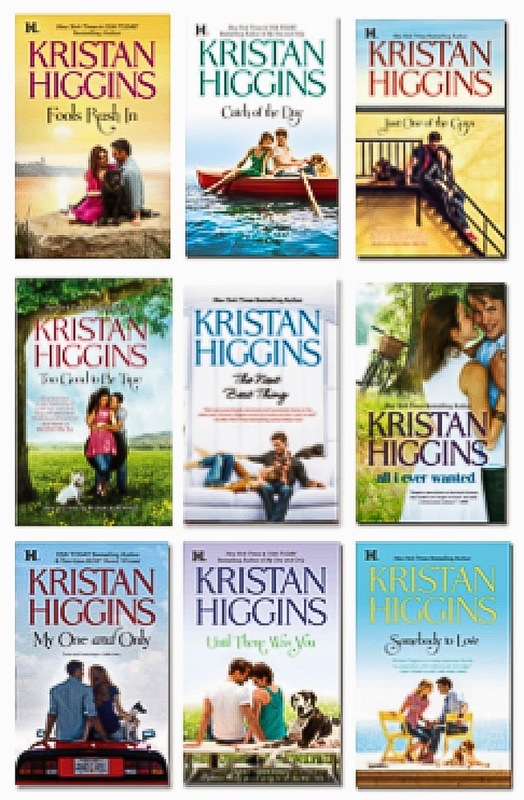 I have read and re-read every book by Kristan Higgins. While some I favor some over others based on the characters or the plot - or even the dog - I am always compelled to finish every one the same night I start it. The appeal of Kristan's stories is in the strong relationships, the less than perfect characters, the vivid descriptions of small New England towns, and the perfect combination of the girl with the dog who makes mistakes but finally gets her happy ending. These books aren't going to change your world, but they are guaranteed to entertain you, make you laugh, warm your heart, and spark your imagination. Who doesn't want that? When I saw that Kristan was going on a tour for her latest book, In Your Dreams - the 4th book in the series set in the vineyards of New York's Fingerlakes region) - I thought this would be a great opportunity to meet the woman who has made me smile with her consistently great storytelling. It was a manageable crowd, and Kristan was gracious enough to walk around and converse with everyone before doing a quick reading from the book and signing copies. 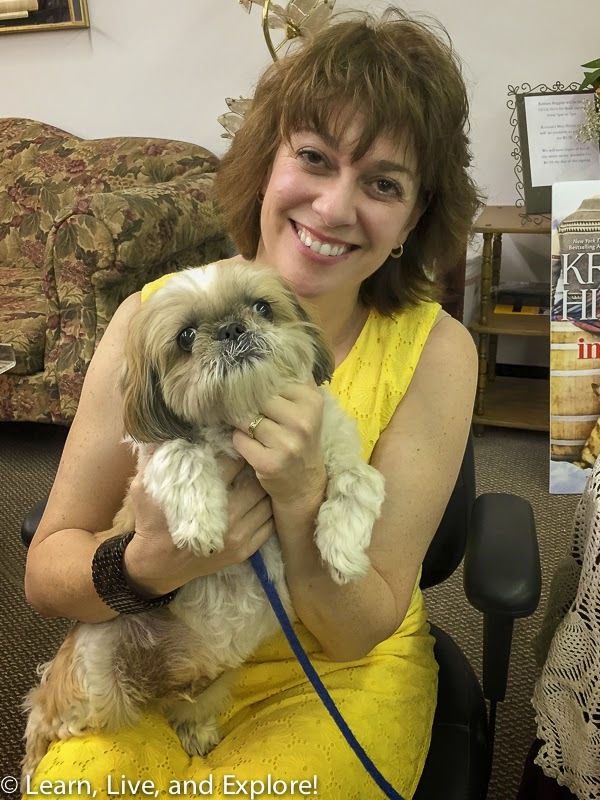 The bookstore allowed dogs, so I brought my shih tzu along in the hopes that maybe he would inspire Kristan to write him into one of her future books! Here's to hoping...with that snaggletooth of his, he should definitely be a candidate!